Even if Edgar Froese and Chris Franke weren't particularly happy with the previous year's Cyclone, they remained committed to finding a new direction for Tangerine Dream. While Steve Jolliffe was unceremoniously dumped, Klaus Krieger remained on drums, albeit as a guest musician. Force Majeure again contains three tracks—opening with the title track, which encompasses all of side one. "Force Majeure" is cinematic in nature, with each section promoting a different mood or color. The opening section rises quite gracefully into the next, offering one of the most straightforward pieces of rock music that the band would ever play: Drums, piano and guitar dominate. A sequencer rolls in to save the day, and the track remains predominately electronic to the end, including the overly hokey finale. "Cloudburst Flight" offers more of the prog rock of the band's previous album, although without vocals. Again, it's a relatively linear journey. 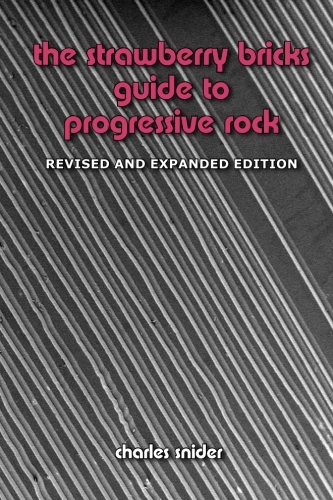 The final track, "Thru Metamorphic Rock," is the real sleeper; the first half is unspectacular, but then all hell breaks loose as the sequencers descend into the brooding landscape of the band's signature works. Relish it, as Tangerine Dream would never return (well, almost). The album did well in the UK, cresting at No. 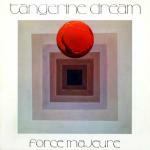 26—their best showing in many years—and would become a favorite among Tangerine Dream fans, topping numerous polls. Froese and Franke would not tour in support of the album; instead they would search for a new member to reinvigorate the band, and return it to a trio format. The prolific Froese also spent the summer doing further research and development, with his fifth solo album, the excellent Stuntman. With nearly a decade of work behind him, guitarist Manuel Göttsching was one of the pillars of the so-called Berlin School of electronic rock. In 1974, Göttsching recorded Inventions For Electric Guitar, his first true solo album (played only on guitar), at his new Studio Roma in Berlin. His guitar technique is similar to Achim Reichel or Robert Fripp: Using layers of echo-effect guitar, Göttsching created hypnotic washes of sound—early "trance" in modern terms. After a few years of collaborations (most notably with Michael Hoenig), he returned under the moniker Ashra, signed with Virgin Records and released the excellent New Age Of Earth in 1977. Göttsching favored keyboards this time around, but the results were lilke his previous work. He then assembled a band with guitarist Lüül Ulbrich from Agitation Free and drummer Harald Grosskopf from Wallenstein, and began to tour, including gigs in the UK and France. Blackouts followed shortly thereafter, with Göttsching again playing all of the instruments on the record. It was heavily-sequenced rock, and comparable to Steve Hillage's work of the same period. Released in 1979, Correlations offers the first listen to Ashra, the band. Needless to say, the compositions gain significant mass with the extra musicians on board. "Ice Train" is lively rock that features layers upon layers of guitar, while "Pas De Trois" emphasizes rhythm. Certainly, the album is a product of late 70s technology, but it also gives a nod to the emerging "new wave." In 1981, Göttsching recorded the landmark E2-E4 (released on Klaus Schulze's label in 1984), which presaged most 90s techno music. Following the prior year's tour commitments, Bill Bruford and Allan Holdsworth would split to pursue their jazz-rock leanings in the drummer's band, leaving Eddie Jobson and John Wetton to chase a more commercial path with U.K. Holdsworth's position at guitar would not be filled, while American drummer Terry Bozzio was recruited to replace Bruford; he came from Frank Zappa's band, where Jobson had previously spent a year (1976), following his departure from Roxy Music (1975). Released in March, Danger Money was another excellent album from U.K. The title track kicks things off, and along with "Nothing to Lose," they're typical of the straightforward rock that would eventually become Asia's signature. Wetton's distinct voice is high in the mix, while the melodies are quite tuneful. "The Only Thing She Needs" turns up the rock lever, while "Caesar's Palace Blues" features Jobson's violin. Both "Rendezvous 6:02" and the longer "Carrying No Cross" are the album's highlights. More intricate and intense, the tracks showcase Jobson throughout, as he provides one of the last great keyboard performances of the decade. Yet it was 1979 and the temperament for prog rock was thin—especially with Wetton. U.K. would then tour the United States supporting Jethro Tull. A live album, Night After Night, recorded in Japan, saw release in September, however by the end of the year, U.K. were no more. From there, Jobson offered his services to Jethro Tull for their A album and tour, before immigrating to the US. Wetton's next move would be to record his first solo album. In Spring 1978, Steve Hillage and Miquette Giraudy assembled a new lineup to tour, this time with drummer Andy Anderson and ex-Man bassist John McKenzie, and Frenchman Christian Boulé returning as second guitarist. 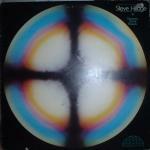 A double-album, Live Herald, was released in early 1979, and was culled from recordings of all three lineups of the Steve Hillage Band. The album's fourth side, later known as Studio Herald, offered four new recordings. "Talking to the Sun" drives over a swift sequence, but it's the funky bass and tight drumming of the rhythm section that give it a wholly contemporary feel. "1988 Aktivator" cops a "punk" vibe, while "New Age Synthesis (Unzipping the Zype)" is one of the guitarist's most arresting compositions. In addition, Hillage's lead guitar soars on the slow-tempo "Healing Feeling." (The tracks, along with half of the previous Green album, were compiled as Aura for release in the US). Continuing in the same direction, a complete studio album, Open, appeared in October. Its highlights are the fusion of "The Fire Inside" and "Earthrise," the latter an adaptation of a piece by Egyptian artist Umm Kulthum. However, after the promotional tour for the record, Hillage would opt out of future solo work (even though all of his albums charted in the UK). But of all their activities in the year, the most significant was Rainbow Dome Musick (sic): an album of "ambient" music that Hillage and Giraudy recorded for the Festival of Mind-Body-Spirit at London's Olympia exhibition center in April. Furthering their interest of electronic music, it stands as one of the earliest albums of so-called new age music and presages techno's "chill out" music of the 90s. In the 1980s, Hillage recorded a final studio record in 1983 before diving into a significant career as a Virgin Records house-producer, including work with It Bites and Tony Banks. He and Giraudy eventually resurrected themselves as techno outfit System 7 in the early 90s. 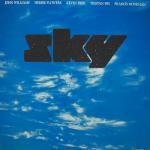 Depending on how you look at it, Sky was either a potentially powerful supergroup of classically-trained musicians, or a recipe for musical disaster of the more pretentious kind. Bassist Herbie Flowers was a seasoned session musician, but also well known for his work with David Bowie, T. Rex and Blue Mink; while keyboardist Francis Monkman was a founding member of Curved Air, and more recently in Phil Manzanera's 801. The pair guested on renowned classical guitarist John Williams's 1978 album, Travelling, which offered a precursor to what the duo would accomplish with Sky. Rounding out the lineup for the new band was Australian-born session guitarist Kevin Peek and drummer Tristan Fry, the latter previously with the London Symphony Orchestra. Tied together by a couple of Abbey Road engineers, Haydn Bendall and Tony Clark, the band's debut album, Sky, appeared in May 1979. "Westway" opens with promise, as the dueling guitars and undulating synth bass suggest a progressive edge. Erik Satie's "Gymnopedie No. 1" is served well by Williams's arrangement, though the light classical music of "Carillon" and "Danza" are ultimately pap. The album's second side, encompassed by the five sections of Monkman's "Where Opposites Meet," is another story. Despite drawing comparisons to Mike Oldfield's large compositions, or even Tangerine Dream's contemporaneous foray into progressive rock, Monkman's contribution suits Sky's virtuosity perfectly: interesting music played with precision. The album was a success in the UK, reaching the Top 10. Their next record—confusingly self-titled in the US, but know as Sky 2 elsewhere—was a double-album, highlighted by Monkman's side-long track "Fifo" and a spirited (if over-the-top) cover of Curved Air's "Vivaldi." However, it was the predictably rocked-up arrangement of J.S. Bach's Toccata and Fugue in D minor "Toccata" b/w "Vivaldi" that reached No. 5 on the UK singles charts and helped propel the album straight to No. 1. Monkman however took his leave after the album. Sky would carry on with continued commercial success well into the 80s, though their repertoire would firmly move into the realm of light classical music. Following the release of his last album, Steve Hackett assembled a touring band that included his brother John on flute and guitar, John Shearer on drums and Pete Hicks on vocals. He rounded out the lineup with Nick Magnus on keyboards and Dik Cadbury on bass. The band then shipped off to Holland to record Hackett's third album, Spectral Mornings, which was again co-produced with John Acock. With its bright chorus, "Every Day" kicks things off (and includes a musical quote from Beethoven's 9th Symphony, "Ode to Joy"), finding the band's performance lively and Hackett soloing away on guitar. The album is more instrumental than vocal, again offering a great deal of musical diversity. Hicks's voice is certainly up to task, though often soaked in thick harmony. "The Virgin and the Gypsy" is gentle and acoustic, while the following "The Red Flowers of Tachai Blooms Everywhere" is (not surprisingly) oriental-inspired. "Clocks - The Angel of Mons" ticks away with abandon before erupting into a drum-led frenzy, while "Lost Time in Cordoba" is the nylon-string retread to which Hackett would often return. The first half of "Tigermoth" offers some downright heavy dynamics (with Hackett using a Roland guitar synthesizer), while the second half is acoustic. Another instrumental, the title track "Spectral Mornings" wraps things up; it's plain evidence of Hackett's lyrical melodies and guitar playing, and straight out of the book of Genesis. Not that that's a problem; Hackett was, after all, their guitarist for many years. The album was a genuine success, reaching No. 22 on the UK charts and affording Hackett a headlining spot at that year's Reading Festival. The record also featured cover art by Hackett's partner, Brazilian artist Kim Poor. Drummer Bill Bruford assembled the core group of Allan Holdsworth, Dave Stewart (then on loan from National Health) and American bass player Jeff Berlin for his first solo album, 1978's Feels Good To Me. Recorded in 1977 at Trident Studios, the album was produced by Robin Lumley and had a vague affinity towards what Brand X was attempting at the same time (instrumental jazz fusion). Compared to Kenny Wheeler's flugelhorn, Annette Peacock's vocals were a very odd addition to the album-yet, to each his own, as they say. In September 1978, following the departures of he and Holdsworth from U.K., and Stewart from National Health, Bruford assembled the same team as a band, conveniently named Bruford. Their subsequent album, One Of A Kind was recorded in early 1979, and thankfully he kept his jazz-rock purely instrumental. Written by Stewart and Alan Gowen, "Hell's Bells" offers a supple and well-arranged fusion, but really takes off when Holdsworth lets loose on his guitar. Both parts of the title track follow suit, though the harder edge and huge theme of "Fainting in Coils" is most satisfying. Both "Five G" and "The Abingdon Chasp" are again atypical, though the latter features Berlin's nimble bass playing. 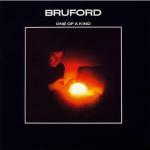 Bruford's drumming is of course exemplary, his distinctive snare always a welcome sound. "Forever until Sunday" features an uncredited Eddie Jobson on violin and carries over from the U.K. repertoire, as does "The Snow of Sahara Part Two" (co-written with Jobson). Throughout the album, the musicianship is of the highest order; the music however is perhaps a bit too precise; unless of course this type of perfectly-perfect fusion is your cup of tea. Holdsworth abruptly left the band following the album's release to pursue his own music. His replacement was the hitherto (and henceforth) "unknown" John Clark, whose debut was documented on The Bruford Tapes: a live album released later in the year. Bruford's next album, 1980's Gradually Going Tornado, would see a return to vocals (courtesy of Berlin). He then put his solo career on hold to join a resurrected King Crimson in 1981, where he would also start to explore the technology of electronic drums. Born in 1936, Hans-Joachim Roedelius's life story before he arrived in Berlin in the late 60s is as interesting as his musical career. From his unwilling membership in the Hitlerjugend to forced conscription in the DDR's Volkspolizei to Stasi imprisonment to eventual refugee status in West Berlin, Roedelius had endured the worst of WWII Germany by the age of 25. But by the late 60s, Germany, like most of Continental Europe, was going through sweeping cultural changes; and in Berlin, Roedelius helped found the influential Zodiak Free Arts Lab with Conrad Schnitzler. The bulk of the 70s was taken up with projects like Cluster and Harmonia; though toward the end of the decade Roedelius ventured beyond his collaborations with musical partner Dieter Moebius to tackle solo projects. First up was Durch Die Wüste in 1978, a collection of pieces recorded with Conny Plank over the prior two years. 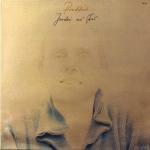 For 1979's Jardin au Fou ("Garden of Fools"), Roedelius signed with the French label Egg and enlisted Peter Baumann as producer. Much like a music box, the gentle "Fou Fou" opens the album; yet the keyboard-based compositions reveal Roedelius's talent on the instrument. "Toujours" is similar: a playful solo piano piece, punctuated by a descending piano line. "Balsam" puts the studio to great use, with Roedelius's piano augmented by an effective backward effect. From simple compositions, such as the circus-like "Rue Fortune" and brief "Final," to more involved tracks, like the bonus track "Tempera," the album's ten vignettes are at once wistful, serious and calming; they venture toward a light, classical music nature, yet without ever sounding "lite." Roedelius would release further albums on the Sky label, including his Selbsportrait series and the excellent Lustwandel, before signing with EG Records in the early 80s. Early 1978 saw Hawkwind now consisting of Dave Brock and Robert Calvert, with Simon King, Simon House and Adrian Shaw also entering Rockfield studios to record a follow-up to the 1977 release Quark, Strangeness And Charm. Using live recordings from their previous UK tour as a starting point, the band recorded a handful of tracks before heading off to America in March for their first tour of the country since 1975. But all was not well. Sapped by Simon House's departure to David Bowie's band (and with Paul Hayles filling in) Brock, despondent and weary, famously sold his guitar to Mark Sperhauk at tour's end, effectively ending Hawkwind's near-decade journey. The ensuing time, however, was spent with the Hawklords; and in 1979, Charisma patched together one final Hawkwind album comprised of the tracks recorded in early 1978. "Death Trap" is a caustic rocker, threading the link between the band and punk rock, and driven, of course, by King's straight-on rhythm. Calvert's "Jack of Shadows" and "Uncle Sam's on Mars" are two of his finest songs, and neither would have been out of place on any of the other Hawkwind albums of the Charisma Records era. Two tracks originally intended for a Brock solo record, "Infinity" and "Life Form" were pulled in, too. The second side offers the sci-fi of "Robot," while "High Rise" drew inspiration from the J.G Ballard book of the same name. The Brock-penned title track dealt with the band's split in 1976, when Nik Turner, Paul Rudolph and Alan Powell all took their leave. P.X.R.5, released in June 1979, rose to No. 59 on the UK charts. But now without both a label and Calvert, Hawkwind was again at a turning point. Robert Fripp's post-King Crimson activities included guitar lessons with Robin Trower, studying the philosophy of J.G. Bennett and a trip to Berlin to record guitar on David Bowie's Heroes. He eventually switched base to New York, where he began producing a wide variety of artists, including Daryl Hall (of Hall & Oates), The Roches and Peter Gabriel. It's no wonder that his debut solo album Exposure was recorded with a host of musicians, including Narada Michael Walden and Phil Collins, Tony Levin, Jerry Marotta and Sid McGinnis (on loan from Peter Gabriel's band), along with Barry Andrews from XTC and the ever-present Brian Eno. After a snippet of his voice, Darryl Hall adds an edge to the punky "You Burn Me Up I'm A Cigarette," while the guitars of "Breathless" blasts away with the power of King Crimson's Red. In fact, it's so musically current, it's a testament to how forward-looking that band was. Peter Hammill's distinctive growl gives "Disengage" and "Chicago" a suitable edge, while Hall's smooth, blue-eyed soul graces "North Star." Terre Roche's voice floats alongside Fripp's guitar on the beautiful "Mary." 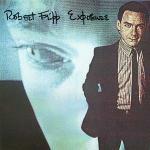 The raucous "Exposure," first appearing on Gabriel's second album, opens the second side; and over its white-funk beat, Fripp uses samples and Frippertronics to alienate the soundscape. This approach is furthered on what Fripp called the "incredibly dismal, pathetic chord sequence" of "Häaden Two," while the remainder of the album alternates between a few more rockers (the amazing "I May Not Have Had Enough of Me But I've Had Enough of You"), pure Frippertronics ("Water Music I & II") and a stark, haunting re-recording of "Here Comes the Flood" by Gabriel. The album is extremely contemporary, and stacks up alongside any then-current "new wave" releases. It was intended to be released as a part of a trilogy of albums Fripp produced, with Gabriel's second album and Hall's 1977 Sacred Songs rounding out the trio; however, the associated record companies completely nixed the concept. They were right: commercial the album was not-it failed to chart in any territories; but it was a complete artistic success. Caveat emptor: Fripp has released several different mixes of the album since its debut release. Another musician who cut his teeth in Berlin's Zodiak Free Arts Lab in the late 60s, guitarist Günter Schickert was a fixture in the city during the 1970s. Armed with a Dynacord Echo machine, he was also a pioneer of echo guitar, in the vein of his contemporary Achim Reichel. In 1974, he recorded his first album, Samtvogel ("Velvet Bird"). 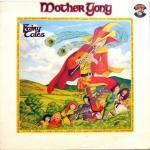 Although initially a private pressing, it was picked up and reissued by the Brain label in 1976. A purely analog effect, the looping of guitar parts through both echo-effect and a series of tape recorders produced an entrancing sound; but Schickert's subject matter was rather dark and decidedly noncommercial. Around the same time, he was working with Klaus Schulze as a guitarist and tour-hand, and also assisting with the Far East Family Band recordings; the pair even recorded an (unreleased) album. Schickert then formed GAM in 1976, with guitarist Axel Struck and bassist Michael Leske—musicians he had known for many years. The band recorded an album, Eiszeit, in 1978, but it too went unreleased; and eventually, the group collapsed. By the late 70s, Schickert met drummer Manfred Heuer, which led to the aptly titled Überfällig ("Overdue") record, released by Sky Records in 1979. "Puls" opens the album, with its guitar and percussion locked into a hypnotic groove; nothing sounds quite like this, nor is anything as seductive or timeless. The simple "In der Zeit" offers a vocal, the track's melody as haunting as its sparse arrangement. Clocking in at almost 12 minutes, "Apricot Brandy II" reprises a track from Schickert's previous record, but here with significantly more mass. The clicking rhythm keeps things from going sideways, as Schickert piles on vocals and effects through the echo machine—all rising in a glorious cacophony of sound. "Wanderer" closes the album; and it's a beguiling journey, drifting down a dark, untraveled road. Indeed, Überfällig is both a timeless treat and sonic marvel. Schickert would remain active in the Berlin music and theater scene; but recordings would, as always, remain few and far between. Among Jethro Tull's activities during the previous year, they managed to back Steeleye Span's Maddy Prior on her debut solo album, Woman In The Wings. David Palmer lent his considerable arrangement skills, while Martin Barre contributed a blistering solo to "Cold Flame." The album is worth seeking out. 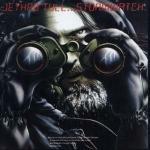 Judging by the Stormwatch album cover, Ian Anderson seemed to have had enough with country life, looking now to the North Sea for inspiration on this, the band's 12th studio album, and the final installment of their so-called folk trilogy. To wit, the album presents a harder edge than its two predecessors, if only slightly. Gone are songs about country estates, and in are the songs concerning oil and the environment. "Orion" isn't particularly inspired, but it has a good hook. "Dark Ages" and "Something's on the Move" are the big rocking tracks, while "Flying Dutchman" sports the large orchestration. It isn't that the album is bad, in fact it's the folksiest of the trilogy; but ultimately, it just sounds like more of the same ole Jethro Tull. 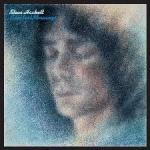 However, David Palmer did manage to do something quite rare in Tull-dom: he received a songwriting credit. 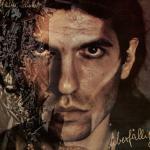 A tribute to his late father, his self-penned "Elegy" closes the record. Sadly, bassist John Glascock would succumb to a heart condition before the sessions were completed, with Anderson filling in on bass to finish the album. The band would then go through some major personnel changes, beginning with Fairport Convention's Dave Pegg subbing in on the subsequent tour. The album reached No. 27 in the UK, and fared slightly better in the US at No. 22. With Phil Collins in Canada sorting out his personal life, Genesis entered 1979 on hiatus. 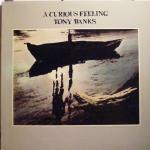 Both Tony Banks and Mike Rutherford turned their attention to solo projects, with Banks's being the first out of the gate. A Curious Feeling was produced with David Hentschel at Abba's Polar Studios, with Banks handling all instrumentation—only Chester Thompson assisted on drums and percussion. Based loosely on the novelette Flowers for Algernon by Daniel Keyes, the album is a relatively uniform set of songs. Since Banks was always one of Genesis' main songwriters, it should come as no surprise that A Curious Feeling gives a good approximation of his contribution to that band; and conversely, the album also sheds light on the other members' contribution to Genesis by what it isn't. Banks is a lyrical songwriter; his compositions are flowing, with an emphasis on beauty and romanticism. Both "The Lie" and "After the Lie" are typically expressive, while the second side's "You" and "Somebody Else's Dream" contain a harder edge. Throughout, the production is flawless, though perhaps a little too contrived. Banks's instrumental "The Waters of Lethe" (also the working title of the album) is flush with that trademark Yamaha CP70 piano tone; it's also no wonder that the album sounds a lot like the previous Genesis record, And Then There Were Three. The opening "From the Undertow" and another instrumental "Forever Morning" are obviously from the same well. Kim Beacon from Charisma labelmate String Driven Thing provides the vocals for the album—a quite controversial choice, in retrospect. His smoky tenor is by no means a distraction, but it might be too familiar a match for the music: It's typical of the kind of voice that Genesis (and ex-Genesis) members would select for their solo albums. Regardless, the album was a success, rising to No. 21 on the UK charts. Mike Oldfield's follow-up albums to Tubular Bells were similar in style, and none the worse for it: Hergest Ridge also managed to top the British charts upon release, while 1975's Ommadawn would settle for No. 4. After a few years' break, Oldfield released the ambitious (for the time) double-album Incantations in 1978; the album was successful, reaching No. 26 on the UK charts. The reclusive musician then assembled a large band and orchestra in the spring of 1979, mounting a tour as a solo artist for the first time. Notables in the band included Benoît and Pierre Moerlen from Gong, Wigwam's Pekka Pohjola and Steeleye Span's Maddy Prior, amongst many others. A double-album from the tour, Exposed, saw release in the fall and rose to No. 16 in the UK; while a single, "Blue Peter" b/w "Woodhenge," hit the UK Top 20 (it was also the theme music for the well-known British children's television program Blue Peter). 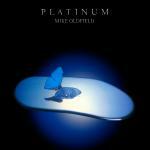 Oldfield's next studio album, Platinum, saw a shift in his musical direction in that it presented a more concise, song-based approach, with the music mostly performed by a band-as opposed to everything by Oldfield. The album's side-long title track kicks off with "Airborne;" Oldfield's signature-toned guitar playfully intertwines with the arrangement before the band takes full-flight on the second section, "Platinum." "Charleston" sounds just as one would assume-something lively to dance to, while the closing "North Star" borrows its choir part from Philip Glass's composition of the same name. The second side's "Woodhenge" is placid and atmospheric, if uncharacteristically so, especially compared to the rest of the album-side: "Into Wonderland" (switched from "Sally" on all but the earliest pressings) is a venture into pop while "Punkadiddle" is certainly tongue-in-cheek. Gershwin's "I Got Rhythm," featuring Wendy Roberts, features an original enough arrangement. Throughout the album, the group-effort and keyboard technology-both of which Oldfield would continue to explore further on his next record-lend a contemporary edge to the work. The album rose to No. 24 in the UK; while in the US, it was repackaged with live material as Airborn in late 1980. Following their collaboration with Brian Eno, yet another collaboration beckoned the duo of Hans-Joachim Roedelius and Dieter Moebius, this time with long-time associate Conny Plank, electronic artist Asmus Tietchens, Dutch sitarist Okko Bekker, and Kraan's Hellmut Hattler and (ex-Kraan) Johannes Pappert for the mise-en-scène of the Liliental album in 1978. They reunited as Cluster in 1979, now at Peter Baumann's Paragon Studios in Berlin. Opening their seventh album, "Avanti" ambles forward over a percolating sequence and a simple motif played on synth. "Prothese" adds electronic drums and some tribal voices, or whatever you want to call them. "Isodea" turns more to chamber music, played on a clavinet-like keyboard, while "Breitengrad 20" continues with sequencer and piano added, but with some guitar added for effect. Rising from a gentle piano, the album's title track encompasses the second side of the record. Throughout its course, it travels a range of moods and sounds, from darker, more pre-industrial passages that harken back to the earliest days of Kluster, to more forward-looking tribal rhythms. It's a weird pastiche of electronic sounds, but a veritable one at that. Throughout, the album is ripe with Baumann's typical style of production (here with William Roper assisting); clean, stark, yet never sterile, it's very much a "rock" production, but, of course, without the rock music! 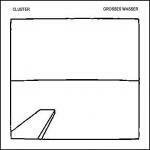 Recorded for the Sky label, the duo's Grosses Wasser would be the penultimate Cluster album. Both Roedelius and Moebius would put their partnership on hold as the former continued his solo work, while the latter began an inventive collaboration with Plank, starting with 1980's Rastakraut Pasta. A final (for the next decade, anyway) Cluster album, Curiosum, would see release in 1981. Pink Floyd has the honor of offering the last serving of excess for the decade, spread out over the double-album The Wall. Just listen to the opening bars of "In the Flesh?" Roger Waters's voice is the first to be heard, and it's no surprise. Since their last record, the other members of the Floyd had cut solo albums to little commercial or artistic success. When the band entered sessions for this album, it was Waters that offered two "song cycles;" the band chose the first, and the second would appear some years later as Waters's first solo effort, The Pros And Cons Of Hitchhiking. 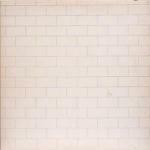 The recording of The Wall was tumultuous at best; Rick Wright was ejected from the band by the end of the sessions, and producer Bob Ezrin completed the album in Los Angeles with studio musicians. Fortunately, David Gilmour leaves some evidence of his participation, especially on the excellent "Young Lust," "Comfortably Numb" and "Run Like Hell," all co-written with Waters. The remainder, on the other hand, are strictly Waters. All of the songs constitute a perfectly choreographed script, though offering none of the psychedelic instrumentals that had defined Pink Floyd throughout the decade. That said, there are undoubtedly some classic tracks within, including "Mother," "Hey You" and "Nobody Home." But by the fourth side, it's the album's own weight that brings down the wall. 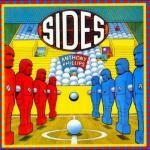 Still, there's no denying that the double-album was an artistic achievement and a phenomenal success. "Another Brick in the Wall (Part 2)" b/w "One of My Turns" topped the single charts on both sides of the Atlantic, while the album would reach No. 1 in the US and peak at No. 3 in the UK. Over the next two years, the band would stage live renditions of the album in a series of concerts held in Los Angeles, New York, London and Dortmund, Germany. A movie of the same name, starring Bob Geldof as the central character Pink, would appear in 1982, directed by Alan Parker. Over a decade after its first release, Waters would perform The Wall in an all-star extravaganza in Berlin to celebrate the fall of die Mauer, while Waters would eventually reprise the original production-updated with stunning technology-on a series of tours from 2010-2013.